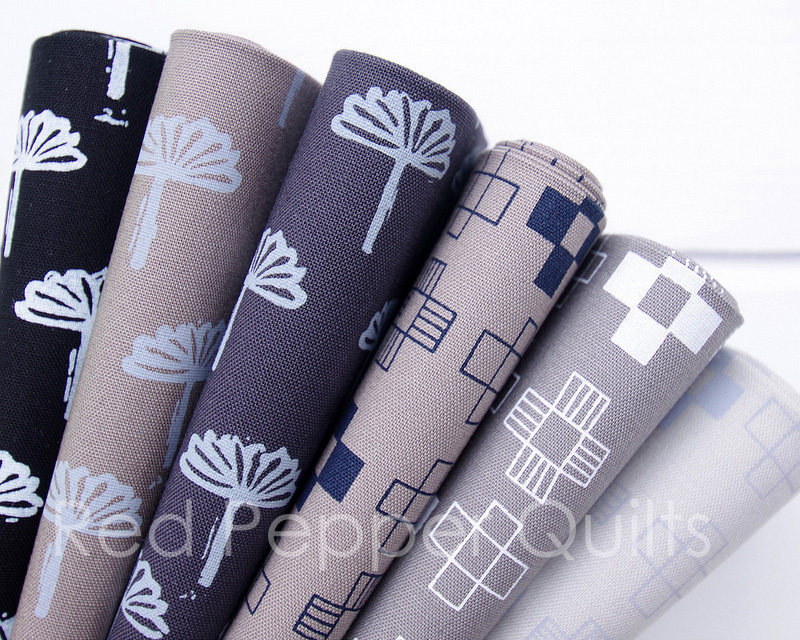 This bundle of fabrics and latest stash addition completes my collection of Blueberry Park fabrics and they are a feast for my eyes. I love this bundle of neutrals - ranging from tone on tone and low volume, to strong in contrast and black and white. 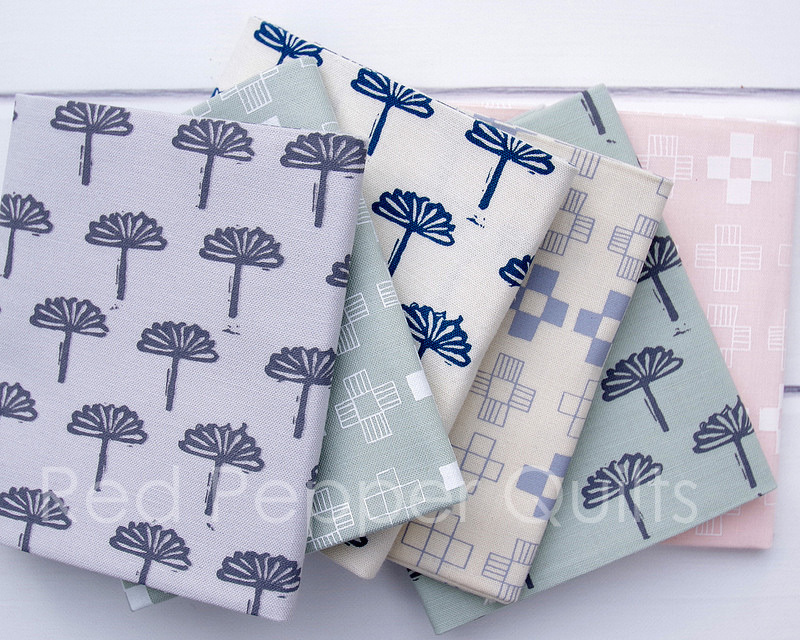 In case you missed Sunday Stash blog post from two weeks ago - featuring the Blueberry Park 3 Bright Color Story - Karen is well known in the fabric and quilting industry for her unique screen printed designs on a range of fabrics, and has now partnered with Robert Kaufman Fabrics ~ printing Karen's designs on their popular range of solid fabric - Kona Cotton. A perfect match. This latest collection has been released in two color stories; a bright and a neutral color palette. Pictured here today is the neutral color palette (see photos and details of bright color palette here). 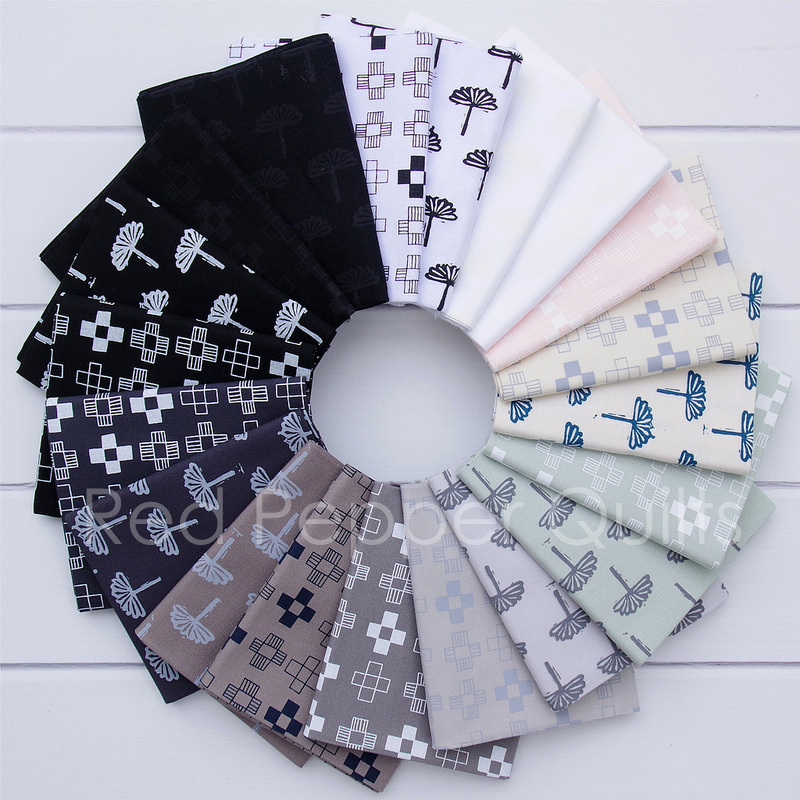 The neutral color palette consists of twenty fabrics, two distinct designs as pictured above, and printed in twenty different colors ranging from soft pastels, black/white contrast prints, and white tone on tone fabrics. The Fat Quarter Shop 30% off Notion of the Month: Schmetz Needles, 20% off Basic of the Month: Moda Marbles by Moda Fabrics and 30% off Books of the Month: That Patchwork Place. Prices are as marked. Ends 30 June 2018. Alice Caroline Sample Swatch Sale! 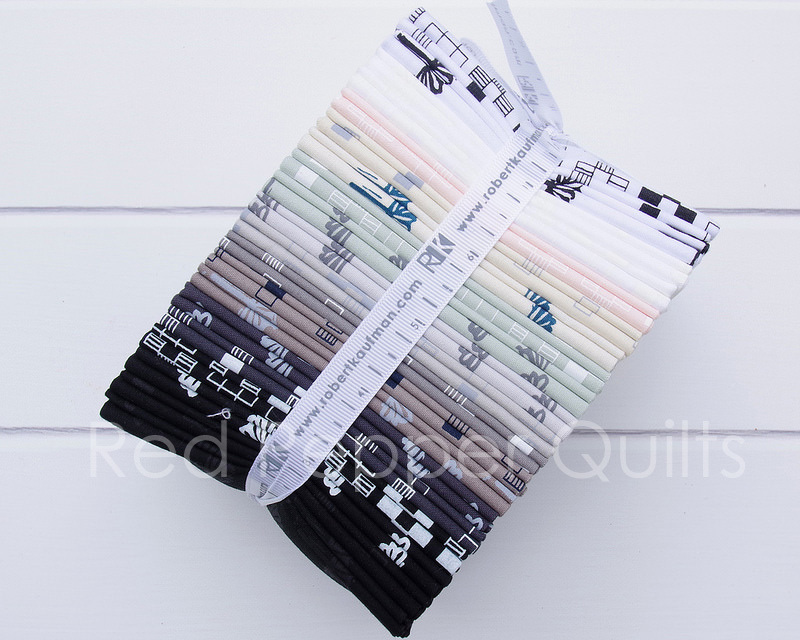 We have some bargain long sample swatches available. Beautiful silks, tana lawn, jersey, denim and cord. These are long swatches varying in width but are all approximately 80 cm long. 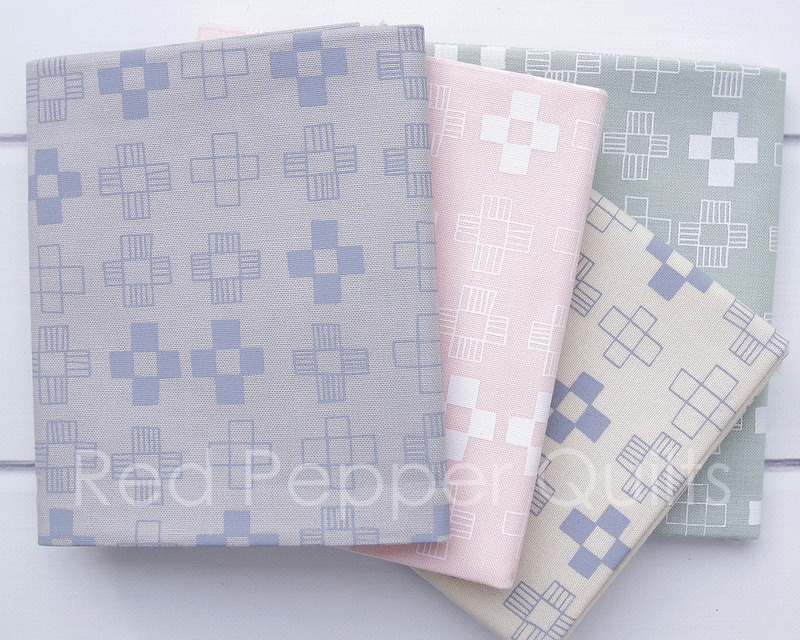 Great for quilts, scarves, English paper piecing, scrappy cushions plus many more projects. I Love Fabric New Limited Edition Bundles now available. 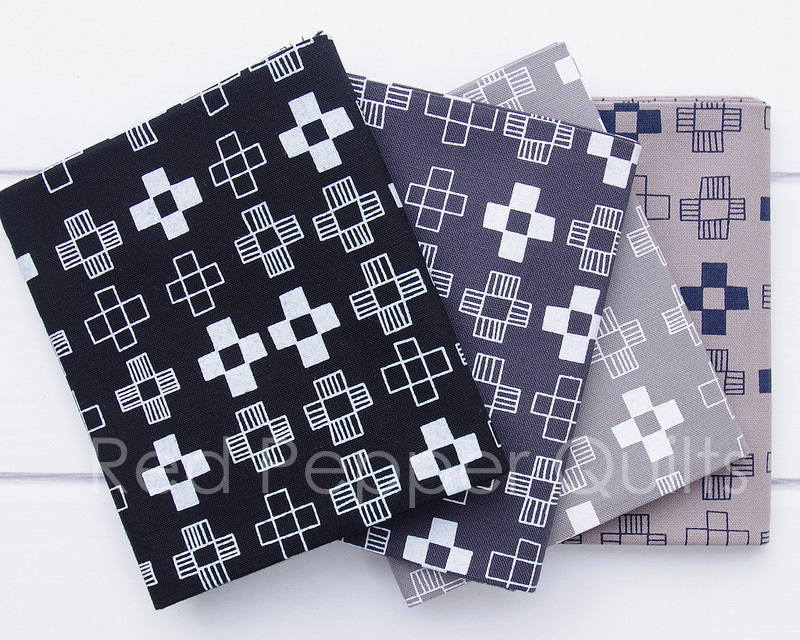 Stash Fabrics Shop the Sale Category - prices start at $US3.85/yard. Tales of Cloth Join the Stitch-Along: Rachel from Stitched in Color and Jodi from Tales of Cloth are hosting a stitch-along over the summer/winter called Kingfisher Quilt (see photo below). It's a fun mix of simple English Paper Piecing, applique, and machine sewing! 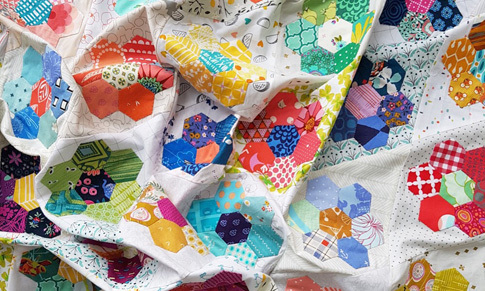 Great for those with a collection of hexie flowers needing a home, or for newbies to EPP. Kits and starter fabric packs are available HERE. Kingfisher Quilt - Tales of Cloth and Stitched in Color. Photo by Tales of Cloth and used with permission. These are fantastic fabrics. 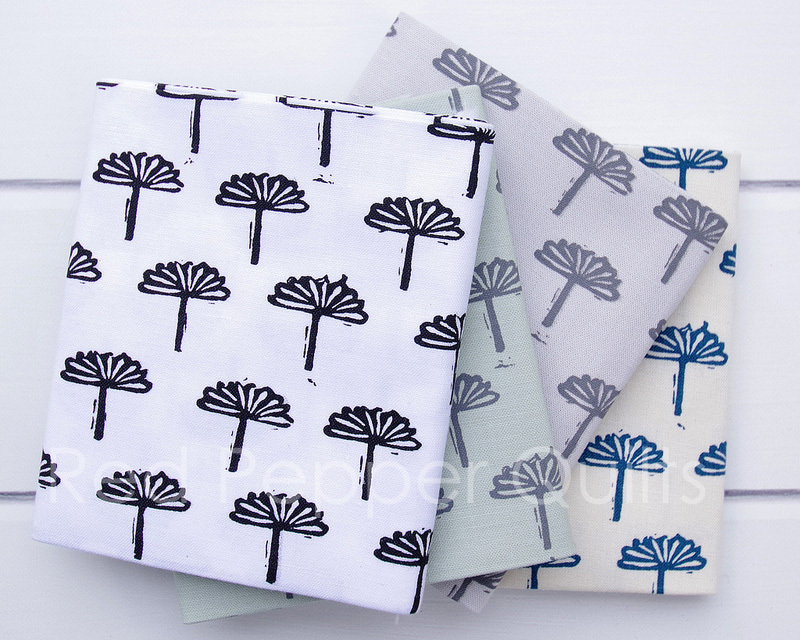 I rarely buy fabrics these days, and have never bought a bundle, but I might have to make an exception in this case!